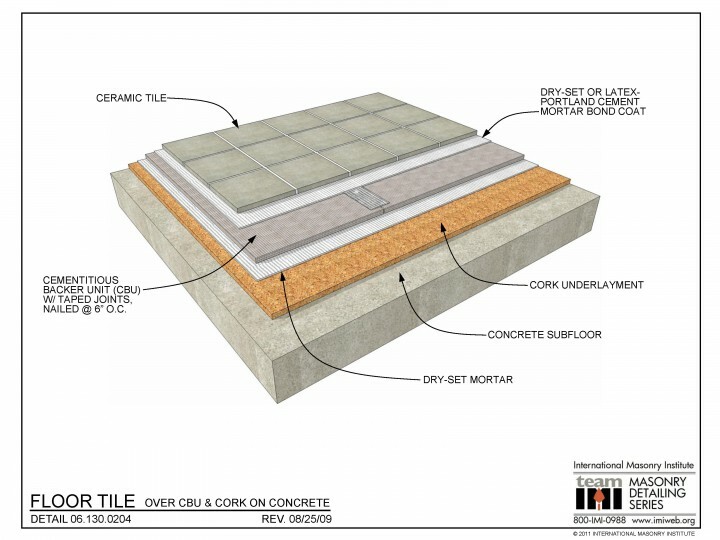 This detail shows tile laid on cementitious backer unit (CBU) w/ taped joints on a concrete subfloor, with cork underlayment separating the tile assembly from the concrete for soundproofing. 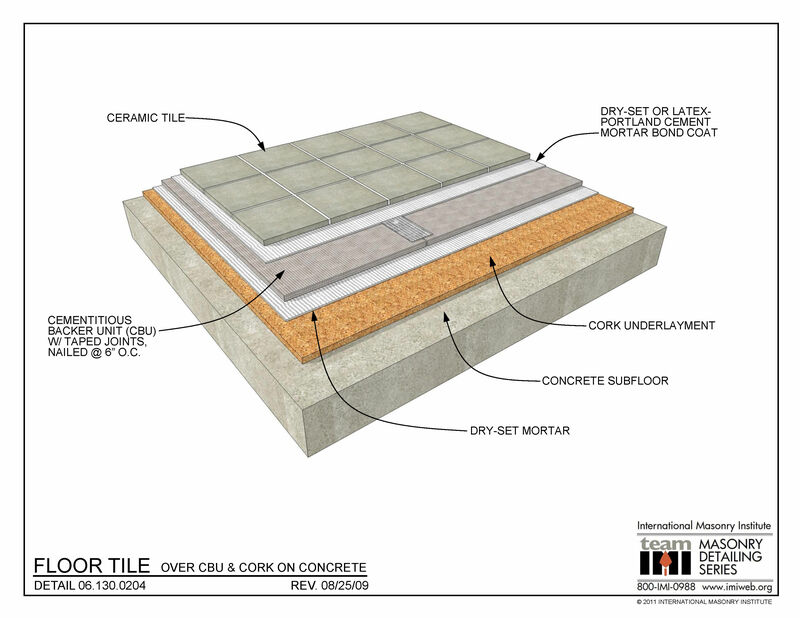 The tile is adhered to the CBU using a dry-set or latex-modified portland cement mortar bond coat. The CBU is adhered to the concrete using dry-set mortar.